Speedy, reliable, affordable – Asus laptops offer everything you need. Popular with families, students and professionals too, they’re stylish and offer great value for money. 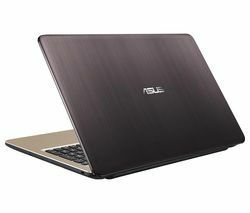 Asus laptops are effortlessly portable, and built with high-quality parts for reliability and stability. All of our Asus laptops come with Windows pre-installed, so they’re ready to use from the get go. The range includes Chromebooks and a versatile 2 in 1 laptop collection that combines touchscreen tablet and laptop functionality. 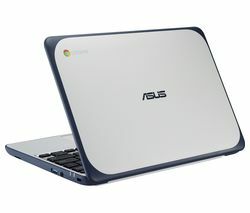 Sizes range from 10.1” to 17.3” and colours include black, purple, red, silver and white, so it’s easy to find an Asus laptop to suit you. The majority of Asus laptops are equipped with powerful Intel® Core™, Celeron™, Atom™ and Pentium™ processors, so you can rely on lighting fast start-up speeds and performance. Hard drives range from 16GB to 1.5TB, and memory from 2GB to 16GB, so you can handle the toughest tasks and have plenty of room for photos, movies, downloads and large files. Battery life varies from model to model, extending up to an impressive 14 hours, so you can work at your leisure without having to worry about charging up. 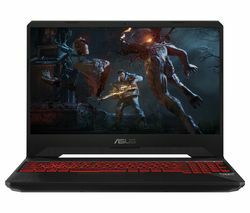 Whether you’re looking for a portable computer solution for work, school, or leisure, cheap Asus laptops offer great value for money solutions.